I purchased this item fromLoveShoppingholics during Christmas season. It takes about 5 days to couple weeks, depending on what kind of shipping method you choose. Now let's get to the detailed description about this product! Pink, Violet, Grey, Blue, Green and Brown. Even though there was many colors to choose from, to me Violet really popped out, because of its nice deep bluish violet color. But the other colors look really nice as well, so you should check them out! 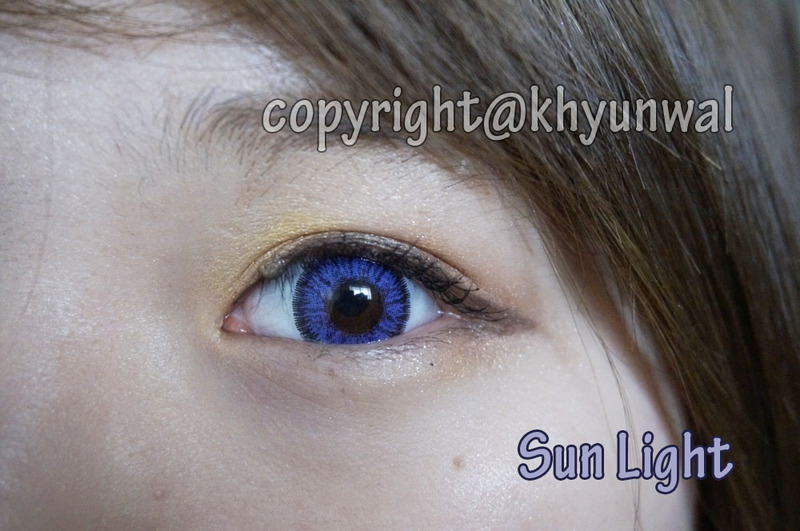 This lens has spiky and dotty prints on it, which may appear more artificial than other circle lenses out there. And what I like about this lens is that depending on the lens color, the dark rings around it matched the tone of the lens, cause its the darker shade of that same color. And its really easy to tell if it is inside out, cause inside is much lighter than the outside. Comfort gets 4 out of 5. To be honest I have difficulties wearing lens from Vassen for some reason, but it does feel comfortable for about 5 hours of wearing. Hula effect get 5 out of 5. 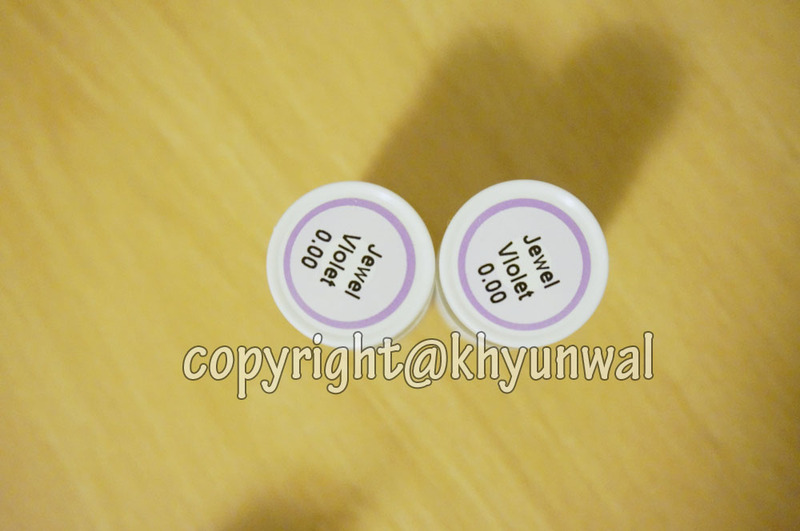 This lens is shaped really well around my eyes and followed my eye movements really well, so I did not had any problem with blurry vision. Doughnut effect get 4 out of 5. Since this lens has dotty prints instead of solid color, you can see the empty space between the lens and your eye sometimes. But it is hardly noticeable, unless you look for it closely. Color get 5 out of 5. 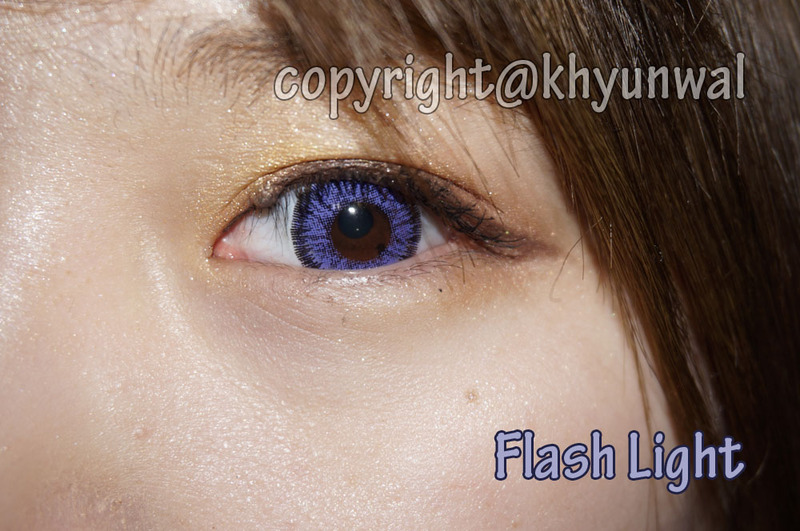 This lens has very vivid color, which resulted in vibrant color even on dark brown eyes. 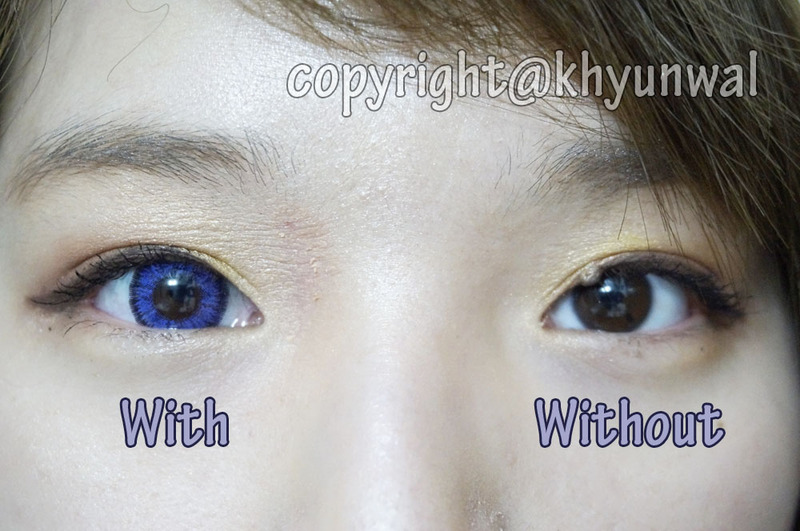 Although it does appear little more of blue than the violet, I liked the color of it. Design get 5 out of 5. 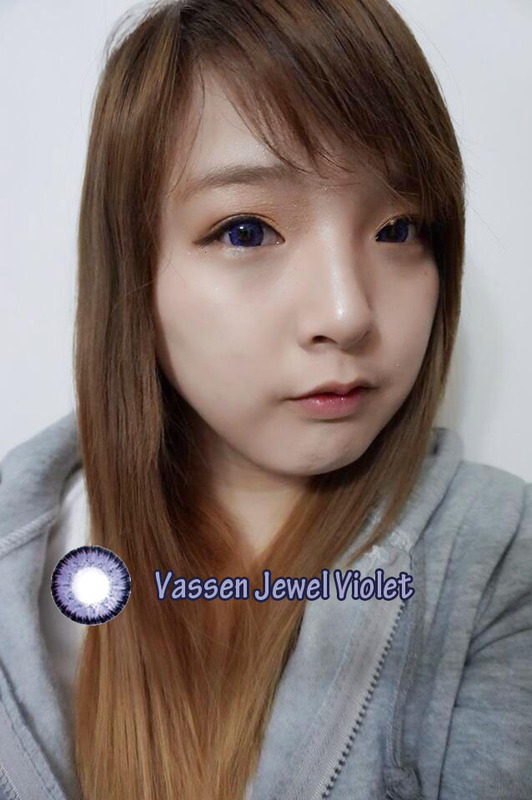 All of Vassen Jewel circle lens has dotty and spiky design to it, rather than solid or gradient design. 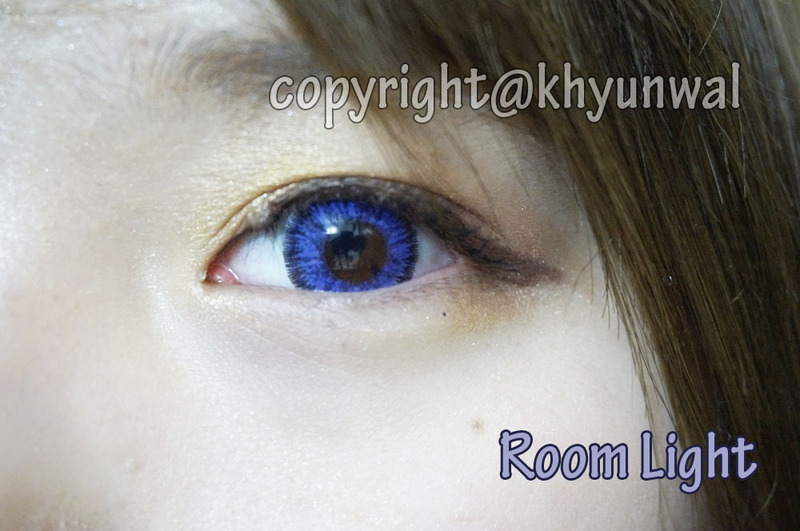 However, because of the dotty print of the lens this blends really well with my eyes. I thought it may look little bit artificial before wearing it cause of the print, but it blended with my eyes really well. Enlargement get perfect score. This lens gives really natural looking enlargement. 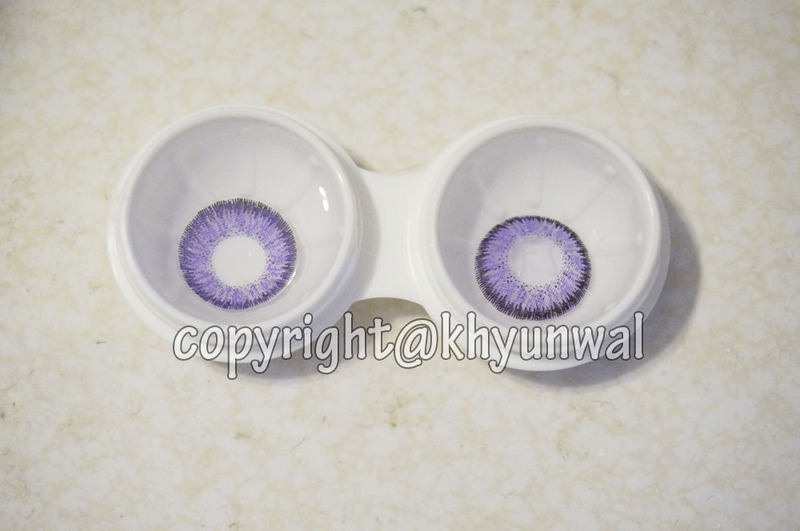 I was surprised to see the enlargement on this lens, cause I expected it to be more of a color lens rather than circle lens. 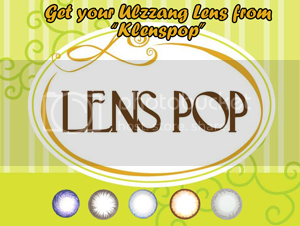 That dotty outer ring gives really subtle enlargement, which will make you love this lens!